Yes it was. But it’s reopened and it’s still home to the current Weymouth Museum. Today the museum has a very temporary and amateur feel to it, because that’s exactly what it is. 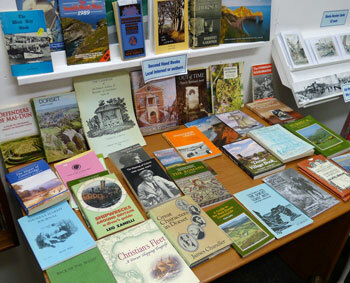 A band of enthusiastic volunteers have got together to set up and run the displays during the short interval between the building being initially closed for renovation and the renovation actually taking place. (This short interval is likely to last for several years). Through a quirk of its past links with the heritage timewalk, Weymouth Museum cannot currently apply for heritage funding and so is reliant entirely on volunteers and its small fundraising activities, including the £1 entry fee for adults. 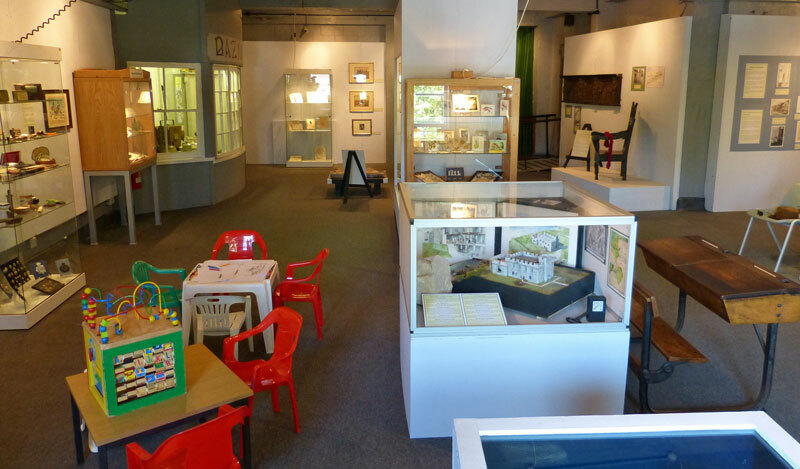 The two galleries, found upstairs in Brewers Quay, display some of the many interesting items to be found in the museum’s collection. Anyone curious about the story of Weymouth (and indeed, Melcombe Regis), will find the displays both interesting and informative. They span the centuries from Roman time through to a modern BAFTA award winner. There’s an activity corner for children, including a wide selection of historic hats to try on. Not originals, of course! 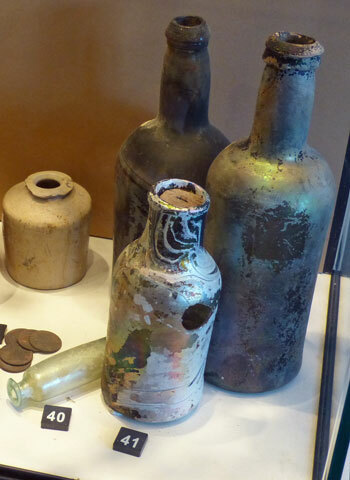 Can you help Weymouth Museum? Being tucked away upstairs in Brewers Quay and having no budget for publicity means the museum struggles to attract visitors. It’s currently open on Wednesday, Friday and Saturday during the summer season, from 10.30am to 4pm. The volunteers love to have people come in, as it helps them to feel that people appreciate the hard work that’s been put in to resurrecting the museum (it was closed for several years). If you’re local, you might consider becoming a volunteer. Stewards are needed for half-day sessions and there’s work to be done behind the scenes. The goods news for the museum it that its future in Brewers Quay is guaranteed. When the building is finally renovated, the collection is assured of a space. Work is also going on to address the funding issues.